"I would ask that the music be allowed to play, that singers are allowed to sing, and rappers are allowed to rap, and poets are allowed to rhyme," said Baker, who was also honored by host Jamie Foxx, Ledisi and Marsha Ambrosius. 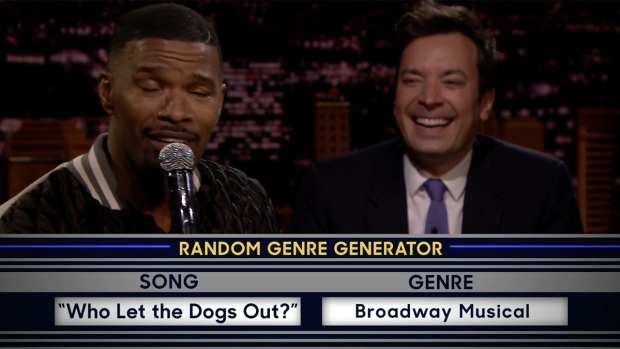 Jimmy Fallon and Jamie Foxx sing popular songs in different musical styles, like "Who Let the Dogs Out" as a Broadway musical tune. 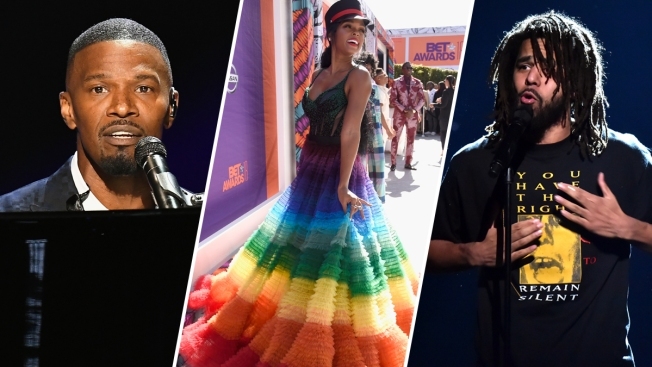 The BET Awards normally hands its Humanitarian Award to one person, but six individuals received the honor Sunday. Dubbed "Humanitarian Heroes," the network gave awards to James Shaw Jr., who wrestled an assault-style rifle away from a gunman in a Tennessee Waffle House in April; Anthony Borges, the 15-year-old student who was shot five times and is credited with saving the lives of at least 20 other students during February massacre in Florida; Mamoudou Gassama, who scaled an apartment building to save a child dangling from a balcony last month in Paris; Naomi Wadler, the 11-year-old who gave a memorable and influential speech at March for Our Lives; Justin Blackman, the only student to walk out of his high school in North Carolina during the nationwide student walkout to protest gun violence in March; and journalist and activist Shaun King.